We welcome all to Christ Church and want you to feel comfortable and safe. We are handicap accessible and also have devices for our hearing impaired visitors. 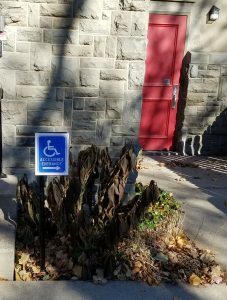 We have handicap entrances to the Sanctuary and the Parish House. The entrances are designated with the universal blue sign. During weekday business hours (M-F 9am-4pm) to enter the Parish House, ring the doorbell at the handicap entrance, and we will assist you. 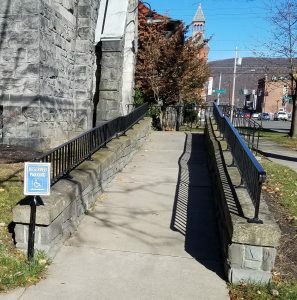 For Sunday services or special events in the Sanctuary, come up the ramp on Cedar Street and into the building. Ring the bell and an usher will assist you. Please call the church office at (607) 937-5449 if you have questions.